Teresa Collins segment with www.mycraftchannel.com and BIG GIVEAWAY today...... Teresa Collins and Craftwell will give away THREE of the TC WOOD GRAIN Cottage folders to three lucky loyal fans and viewers. https://www.facebook.com/tcdesigns as well as CRAFTWELLS facebook page. The latest and greatest crafting trend is all about WOOD. Do you want to know how to take plain chipboard and turn it into an impressive look of wood grain? Watch Teresa today as she shares how the TC eBosser will change the way you create. Watch as she demostrate how to create your own faux wood paper. You will not believe how realistic and dimensional her latest embossing folder with Craftwell will allow. Anyway, I am working and it's WORK to be a better mom every day. That reminds me... Taylor came by this weekend with her new boyfriend that she has been dating the past few months. His name is Travis and he is truly a sweetheart. I am so thankful that he treats my Taylor so well (he adores her!). I love that they are taking it slow. I love that he is a hard worker and has great family values. She is very happy. I have not seen her like this in a VERY long time. So Taylor and Travis... I think you will see a lot more photos of him in our photos. I am loving the woodgrain trend. Would also like to win this embossing folder. Your large folders are the only ones I use anymore. Yes, I have your eBosser too. LOVE IT! I am loving the larger folders .. can't wait to see what cool things are done with the wood grain one ! Wood grain adds a whole new dimension to our crafting. Thanks for the opportunity to try it our. Wood grain?!?!?! LOVE IT! So loving the larger size of your folders too! So cute! Love the cards! Hey there girl ! Thank you for doing and sharing all you do ! I am loving my ebosser and I so enjoy the versatility of your products. I am working on a rolodex project you shared on My Craft Channel some time ago. It is taking quicker shape now that I have the dies that work with my e-bosser. I am excited about your embossing folders and this wood grain looks like another one to add to the shopping list, unless... I win. love the wood grain and the size of your folders. Got my eBosser as an early Mother's Day and Birthday gift and would love to win your folder to use in my new machine. Love the cards. Hope to win. What great folders for our collection! Love the embossing folder with all the curvy areas.. And a great picture of you and your son!! that embossing folder is gorgeous! I am hoping to order an Ebosser this summer when we go to the states for vacation! Oh My Gosh Teresa, this wood grain embossing folder is awesome!!!! Great give away!!! Wood grain is a natural touch for all my paper crafting. Yours looks so rich! Thanks so much for the chance to win. I had my machine for an entire year before I even used it. Now I am addicted and want only embossing and die cuts for it. I say I can make my own embellishments with it. Love it and thank you. Hi Teresa! Love the woodgrain folder! I am so happy that Dieter bought this for me on the last cruise! It has made embossing so much fun! Thanks for the chance to win! Finding this one and the Beautiful Words folder has been difficult! Hugs!! Love your embossing folders. Love how detailed they are. I love the woodgrain look! I can't get enough of it! Thanks! I love this woodgrain look....thanks! I just love the woodgrain and I thank you so much for a chance to win. You're children are so beautiful like you. You are so lucky to have such a great family. Love this embossing folder! Thank you!!! Just got ebosser as an early Mother's Day gift, love to add the woodgrain folder to my new collection! Thanks for the inspiration and wishing you a Happy Mother's Day this coming weekend! I love the wood grain look. It just brings projects to life. I love your giveaways but I love to see the posts on your family even more. I admire your love and strength even in your times of trial. Thanks you for sharing your life. Maybe someday we can meet...now that would be a true prize. this design also helps me create things for the guys in our life, love this for adding a background to my greeting cards as well. So happy for Taylor. You can see the happiness in her face and that is just priceless. Love your wood grain folder! Also, love hearing about your family and looking forward to seeing more pictures of Taylor and Travis in the future. Your kids are Beautiful. I Love the woodgrain folder. Thanks for sharing and giving us a chance to win. Good Luck everyone.. Happy MOnday. I would Love to win the wood grain embossing folder!!! The wood grain folder is great, I could see cards, scrapbook pages and in frames with maybe a metal piece attached, it's nice to see Taylor happy and with a nice person, she is a beautiful girl and always has been. You are a great hardworking and loving role model. Zach is so lucky to have such a wonderful, talented and cool mom! Glad you had a great weekend with your loved ones! I'm so happy for Taylor!!! She deserves all the happiness and success!!! 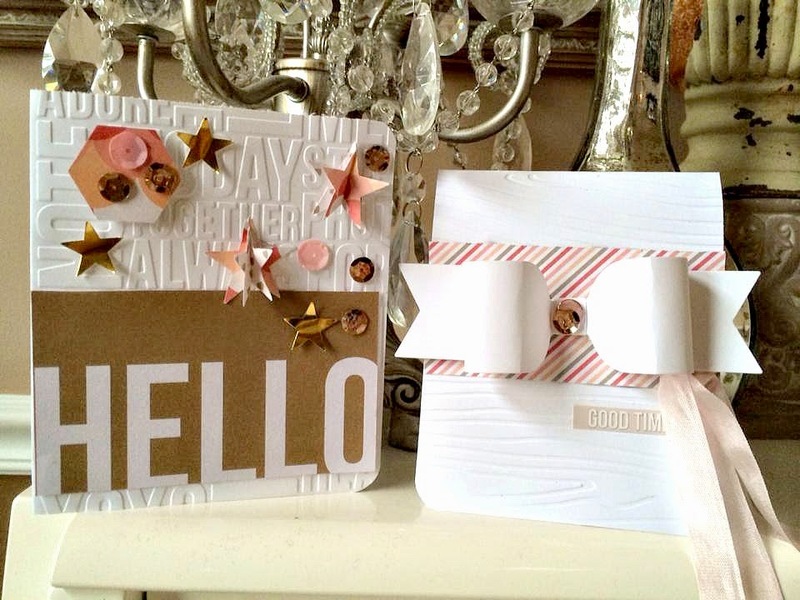 Thanks for the chance to win your new embossing folders!!! Thanks for sharing all that you do. I just got the ebosser so I am anxious to learn and play with it. Glad to hear about your family. You all deserve happiness!! Love the wood grain folder :) You are a lucky Mom :) wishing you all happiness. I have been looking for both the woodgrain folder and the word folder. To have the woodgrain folder. I am so happy for Taylor, she looks so happy. I love this new wood grain folder, very deep and natural looking. Love the pictures of your kids. So glad they are like their mom. Thanks for the chance to win the folder. It looks amazing too! Beautiful photos and sentiments about your family! Love, Love, LOVE the woodgrain EF...........great detail!!! This pics of you and your children are so beautiful and happy, you make each one of them special! New boyfriend hope you like him! :) love the wood brain embossing folder the detain is so awesome! Would love to have this for my arsenal! Thanks for the chance! I love your products gold and pink I really love your signature colors! You sound so happy....you make us happy! It's the toughest job in the world, being a Mom. We are truly blessed to be able to affect so many future generations by what we impart to them in the few short years we have! That has been my biggest joy in my life, and crafting about it is one of the others! Congrats on all your successful sold-out designs and your new launch of following your dreams. Truly inspiring to your kids and grandchildren I'm sure! Us moms truly understand the hard job that being a mom can be. We can also spot children that have "that" mom that is adored; and that Teresa, is you. Thanks for your generosity. I'd love that woodgrain folder. Love the wood grain folder would love to give it try, great news on your family. Hopefully someday my 19 year old will call me the "cool mom." Thanks for all your inspiration. Woodgrain folder is so cool! Can't wait to try it on my ebosser! Happy for Taylor!! Taylor seems very happy which makes me happy for her, too! Love the woodgrain embossing folder, as well! I love your core family values. It us very difficult to raise children with the same moral & ethical values my parents instilled in me & my brother. It's fyi wonderful to see a nice young hardworking gentleman these days & wish your daughter all the best! They are adorable together!! So refreshing to see a well raised good old fashioned family! Great job Teresa on such wonderful children & all your work. You are a true Southern Belle! PS:I would live you win the new Craftwell embossing folder. It is gorgeous & leaves a beautiful impression! Love this wood grain embossing folder! Thanks for the opportunity to win one! 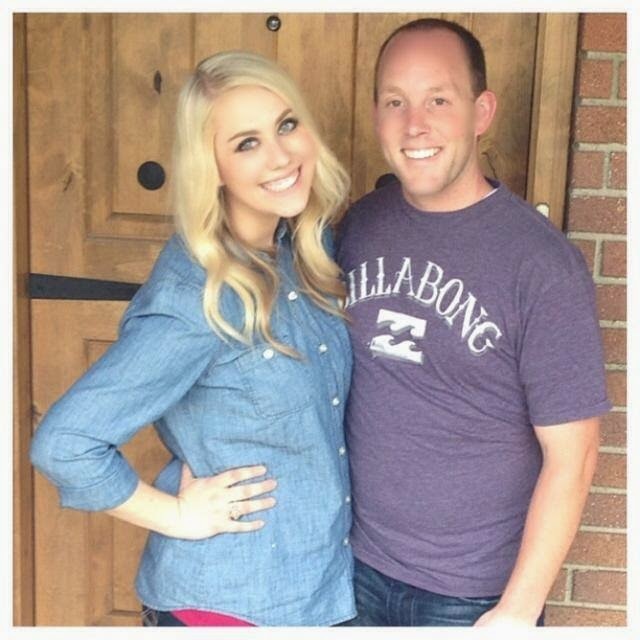 Love your blog, one of my favorites!! Thanks for the chance to win!! A beautiful couple! Thank you for your generosity! Would love to win the woodgrain embossing folder! They look really cute together! Thanks for the chance to win. I <3 the woodgrain folder.. I dont have the e bosser yet but would love to win one. I enjoy reading your posts about your family, you are amazing.. This looks really neat! Love watching you on My Craft channel. I love hearing about your family! Keep up the good work.......being a mom! Tells them they gotta like me.........it's a deal breaker! hahahaha, makes me smile! I love your shows in My Craft Channel =), Thank you for the inspiration. I love the wood grain on the embossing folder. I would use that one a lot on my greeting cards. It would fit in with the animals and outdoors cards that I make a lot. Great looking family. Hope everything is going well. Your shows at My Craft Channel are great. Love these folders! Would love to win the folder! So much fun! LOL... Your daughter looks just like you!!! And yes, Travis loooks like a keeeeeeeeper!!! LOL!! Great Embossing folder Teresa. Love the look of the woodgrain. You have a beautiful family and hoping your husband is starting to feel better and stronger each and everyday. Love the woodgrain folder. Thanks for all your creative and personal inspiration! I'm new to your blog and products and ordered the Urban Market Kit today. I can't wait to get it. I enjoy reading about your family and your faith. It' gets you through anything. Thank you for sharing so much. What an excellent job you have done with your kids! I know I love seeing mine with their significant others! Makes me happy! Would love this folder! THanks for the chance to win! I so enjoy your posts and all that you share with us, thank you Teresa! 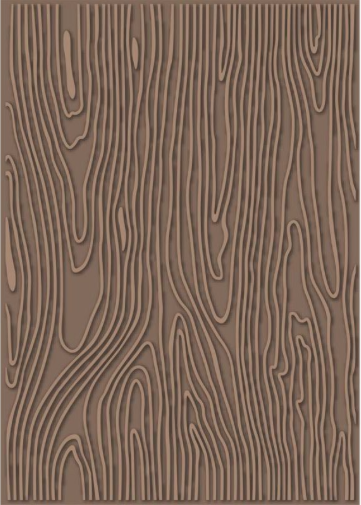 I love all the definition in this wood grain embossing folder! Thanks for the update on your wonderful family. You are all lucky to have each other. Home with the kids is great! And, love the looks of the new embossing folder. I'm glad you had a nice weekend, I hope it was relaxing and had some great family time!!!! You kids rock! Love the fabulous embossing folder! What a wonderful family!!! You & your husband have raised such a lovely family, what a blessing. Thank you for the chance to win this folder. YEAH for time at HOME!!!! There is nothing better, especially for you! And look at Taylor with her beautiful smile! I have been reading your blog for a while now and comment on nearly every post. I remember the past with Taylor and I am SO HAPPY that she is happy and seeing someone who cares for her and appreciates her! He looks like a nice guy! I hope they have a happy future together. PS: Thank you for all of your giveaways. You give away so much! I always comment, not just for the giveaways, but I appreciate the chance to win more of your beautiful collections! I love having this opportunity to win your wood grain embossing folder. I watch you on The Craft Channel every week and so enjoy your enthusiasm and love of life. You are a true inspiration. Your daughter looks so much like you. So glad she found a nice guy. We all deserve happiness and love in our lives. So happy that your lovely daughter has found happiness again. Smart to take it slow and be sure. Love the wood grain folder. I have most of your products and love them. My TC Embosser rocks. I am lucky to have her as my mom! I had my hair done recently and after I thought I look more like my mom then ever before. Ah Thanks Kelly for the comment. Your too sweet! Good Luck on winning! Love your family stories and how well your family is doing, now. That wood grain folder is one of the best, ever! So well detailed and so easy to use. Definitely at the top of my wishlist. Love your new embossing folder! The wood grain look is awesome and will work for so many different projects. Love wood grain. Totally need this embossing folder!! Please and Thank you! I seen you demo this on My Craft Channel and it was awesome! I definitely want to purchase one if I don't win one. Thanks for the chance! Teresa so sorry to hear about Ty and his lump. You will be in my thoughts and prayers. Glad that your Taylor is looking happy again - must be a tough road for all you that you are traveling down. Remember....God only gives you what you can handle. By the way I love wood grain look and have been using that look with a stamp for Operation Write Home cards lately. The wood grain adds a little something special - thanks for the chance to win. Love the woodgrain. Embossing is my new passion. This embossing folder looks really neat! Prayers for you and your family! New FAN!!! Please make this fabulous embossing folder in a smaller size-it is fabulous but I don't have a machine I could use the large one in.